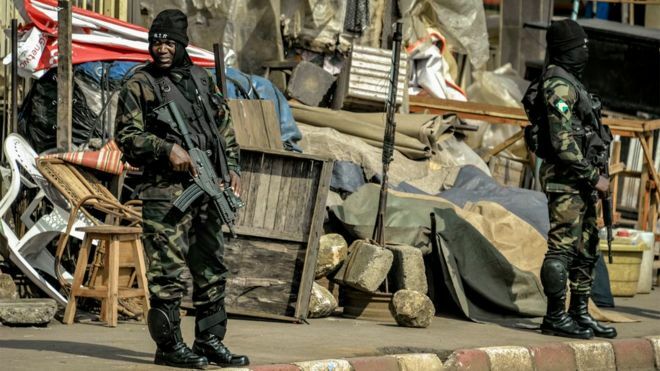 Cameroon government has accused Amnesty International of disseminating “crude lies” after it said security forces had committed summary killings, arrests and property destruction to try to crush a separatist insurgency. The report “is stuffed with crude lies, hasty deductions (and) slanderous, unacceptable maneuvering, which are part of a strategy of harassment and destabilization of our country in its fight against the terrorist threat,” Communications Minister Issa Tchiroma Bakary said. The government “rejects this supposed report with the greatest firmness,” he said in a statement received on Friday, 15th June. In a 37-page report, Amnesty said it had catalogued “unlawful killings, destruction of private property, arbitrary arrests and torture” by the security forces in two restive regions of the West African country. The unrest commonly known as the Anglophone crisis is unfolding in the Northwest and Southwest Regions, home to most of Cameroon’s English-speaking minority, which account for about a fifth of a population of 22 million. While accusing government forces of abuses, it also said separatists had killed “at least” 44 members of the security forces, and also targeted ordinary people, including traditional chiefs, whom they suspected to be informants.